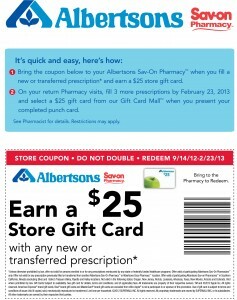 Albertsons is a grocery store with a prescription drug center similar to Walgreen’s, CVS, Duane Reade and many others. Like some drug stores, Albertsons offer’s friendly personal service and takes very good care of their customers and their prescription drugs. They pride themselves on quality service and cheap affordable prescription drugs. 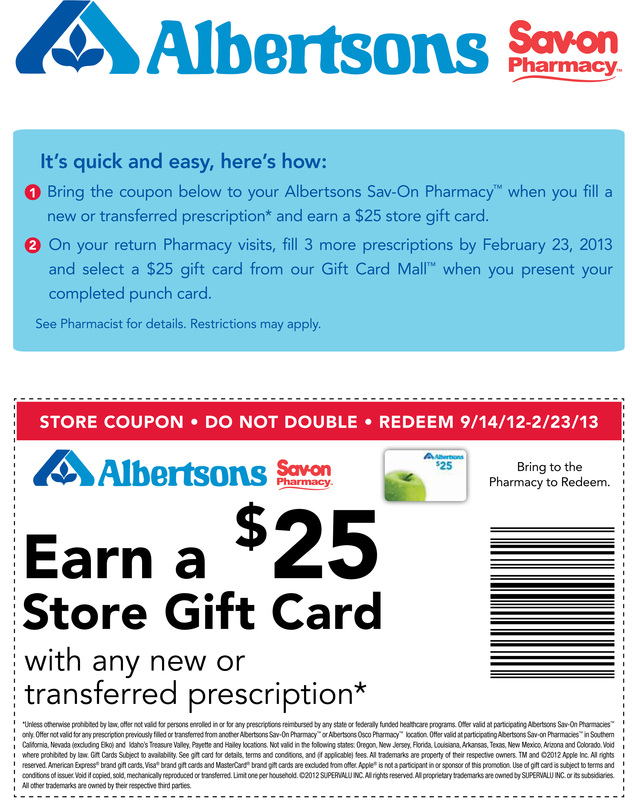 Now, take advantage of not being an Albertsons prescription drug customer and transfer your prescription for a free $25 gift card using this 2013 printable coupon. 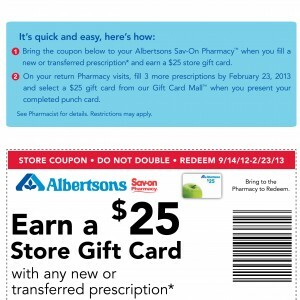 Albertsons Store Coupon 2013 – Earn a $25 Store Gift Card with any new or transferred prescription. Bring printable coupon to Pharmacy to redeem.